After a gorgeous Saturday I got home yesterday and actually had a couple of hours to surf the Internet for a bit. One thing that has been sadly missing from my life as of late is the time to just sit back and search for unseen spanking photos. Now don’t worry, I still have 100’s of them as it is, so you will never go short. Yesterday only turned up four, and three of them were sorority style paddling photos, but there was also this one which featured a classic OTK spanking. 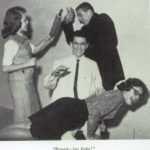 Isn’t it a shame that fun spankings like these don’t happen any more? This will be added to my WINDSOR’S SUNDAY CANDIDS album. Always enjoy your Candids series as i really enjoy otk and these finds are wonderful. 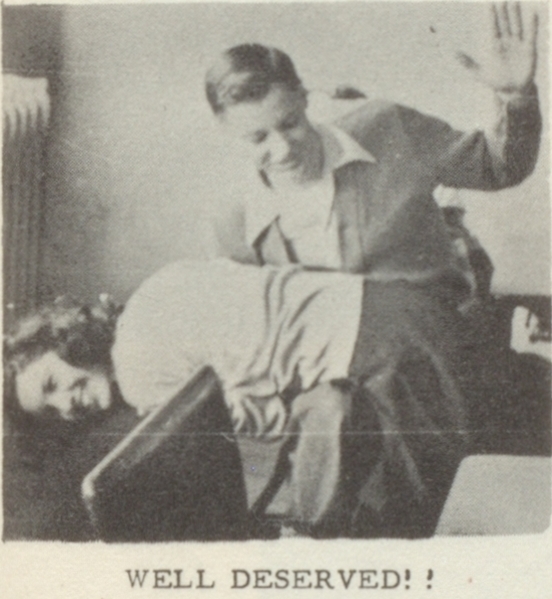 I love the position and the caption is fun as well. I love that you share such treasures and thank you for the time in finding them and sharing them with other spankos. Thanks for all you do and have a greatday. Very nice ,Richard let s hope that Punished Brats can carry on ,best from Tim .